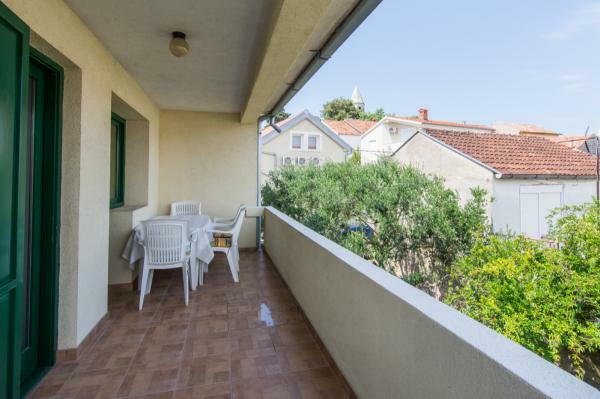 Bright and modern pet-friendly holiday apartment Natali to rent is placed in a family house in the historical old town center of Biograd na Moru, in a side street, near the sea. 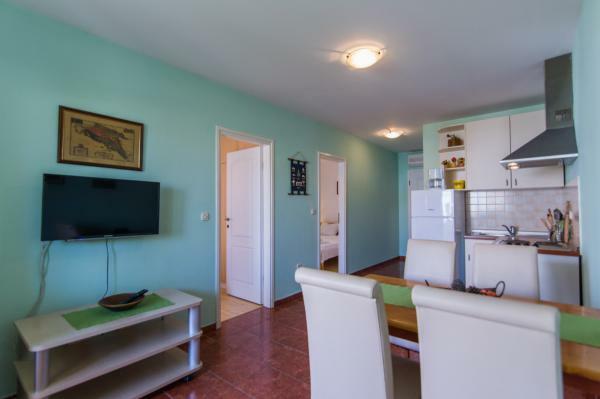 After you have parked your car in the yard you may put away your car-keyes for the rest of your holiday here, as this house is on a walking distance to the beach, marina, shops, open market, promenade and restaurants. 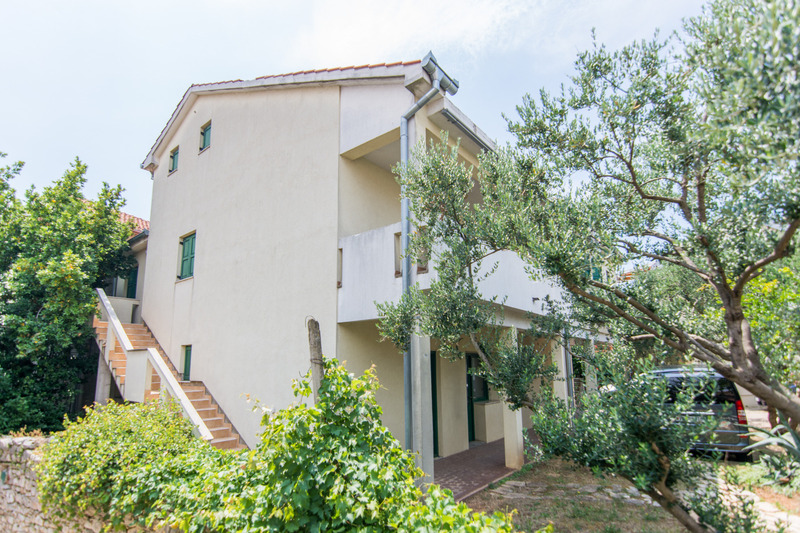 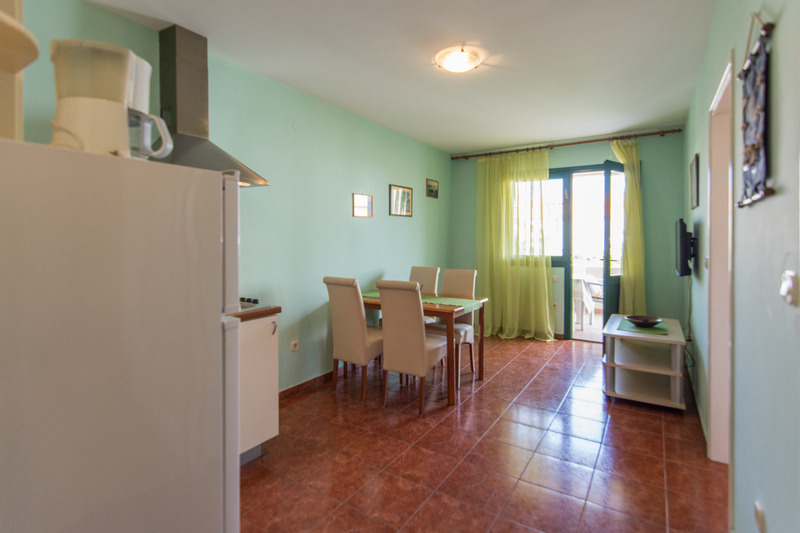 The holiday apartment Natali, No1, for 4 persons, on the first floor of the house, contains two bedrooms with a queen bed each, a bright living room with kitchen, and one bathroom with shower and toilet, as well as a spacious covered and furnished balcony. 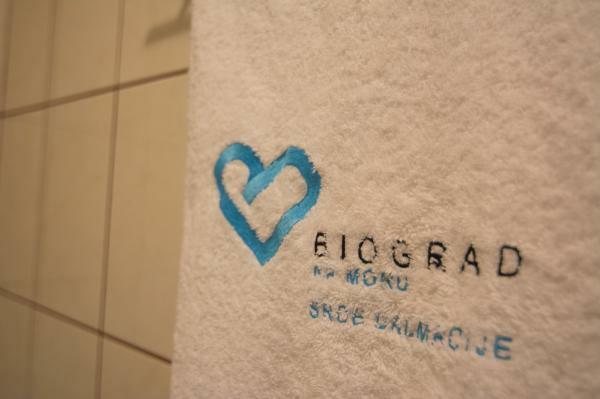 The equipment of that apartment, besides bed-linen, bathroom and kitchen towels, cookware, crockery and cutlery, also includes SAT-TV, Wi-Fi (WLan) internet connection and air-conditioning. The balcony of the apartment offers a view from its spacious balcony to the church of St. Anastasia, built in the 18th century, and it also overlooks the garden with olive trees, pomegranate trees and other indigenous vegetation as well as a built barbecue, which is available to use freely for all the guests of this house. 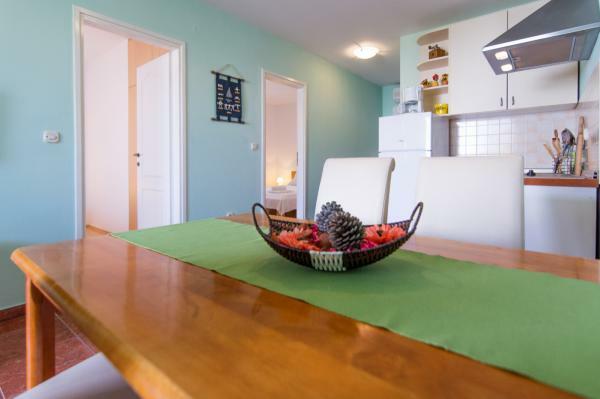 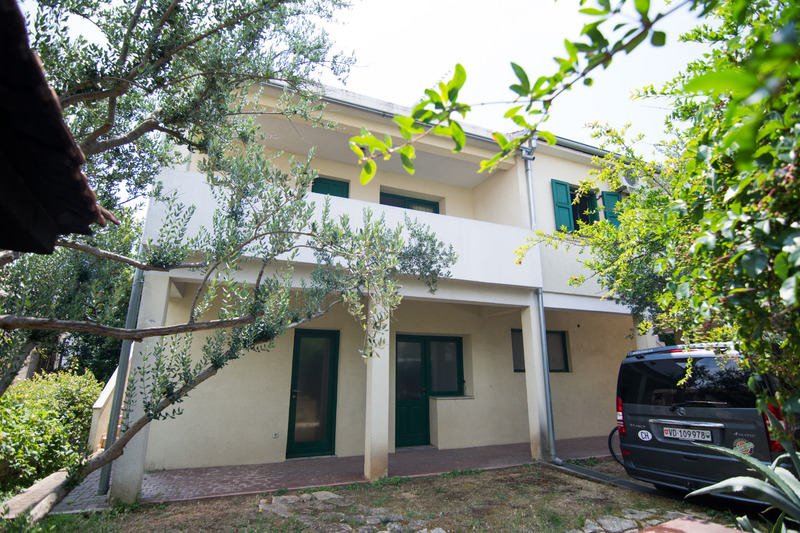 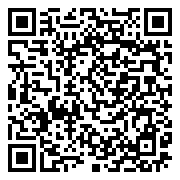 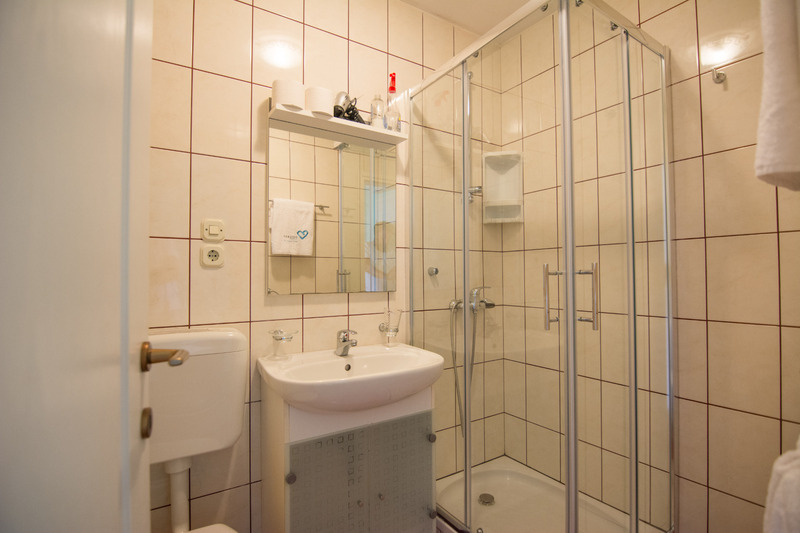 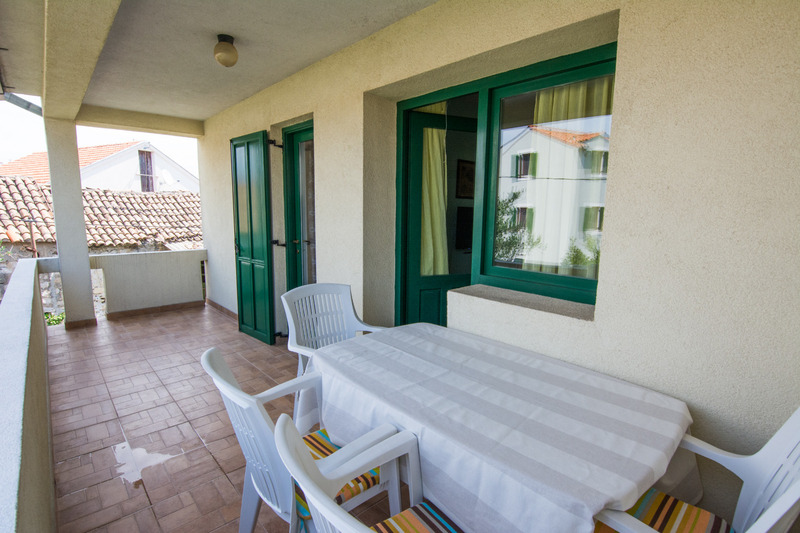 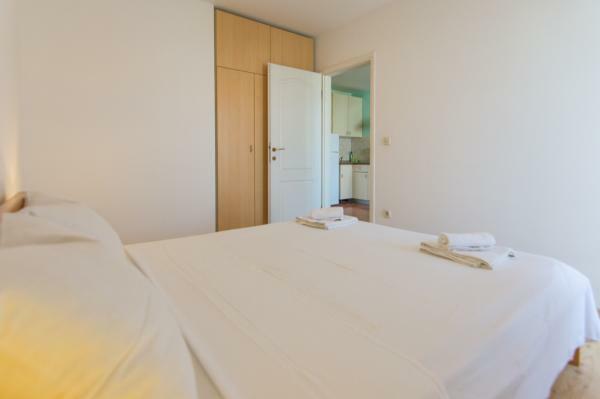 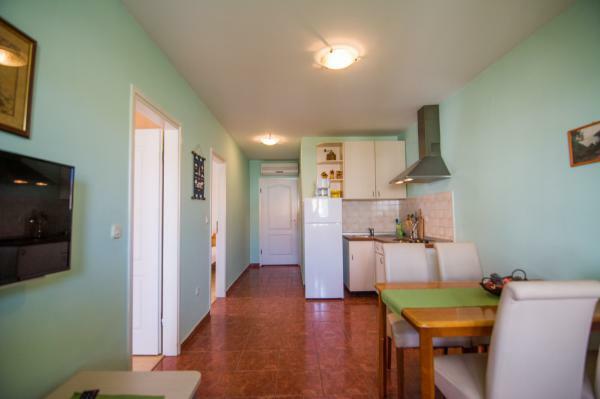 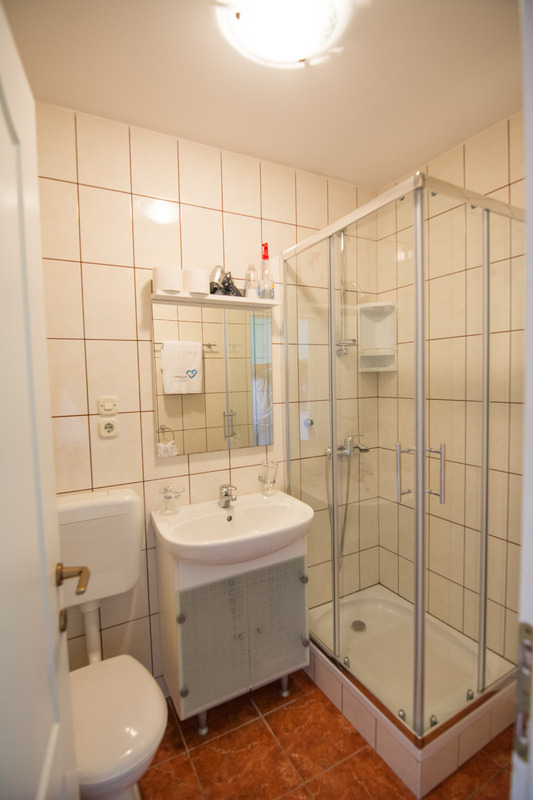 To the same property belongs also the holiday apartment No2, for 4 persons, presented here.